I have been a baseball fan all my life, going back to the year 1968, when I was six years old, one year before my team, the New York Mets would win their first World Series, in their seventh year in existence. 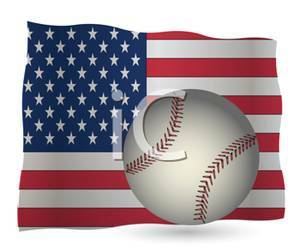 Though younger folks want constant action seen in football or basketball, and I am not knocking either of those games, only in the game of baseball can you be a fan for fifty some odd years and still not have seen everything. Now I can add last night World Series Game 3 to that list. Though more frequent in little league and other amateur circuits, rarer than both no-hitters and hitting for the cycle is the inside the park home run. Ever since baseball fields had fences define boundaries for automatic home runs, hitting a triple has been rarer than hitting a home run, because to achieve a three-bagger, the ball must stay in the park. But the inside the park version of the round-tripper is even more difficult to achieve. One early members was when I was eleven years old on July 7, 1973, when my father took me to see the Mets play the Atlanta Braves at Shea Stadium. We sat loge reserved approx section 13 (Shea Stadium was odd numbers on 1B side and even numbers on 3B side with Section 1 behind home plate. So the lower the section number, the close you were to home plate). 1973 was the year Hank Aaron was chasing that Babe Ruth 714 mark and actually ended the season with 713—hitting the famed 715 on a Monday night in April 1974. So my father and I, although rooting for the Mets, were hoping to see Hammering Hank get one closer to that historic mark. Well, the game was on a Saturday afternoon and because my father worked for the Bridgeport Post and had to work that night to prepare his column in the Sunday edition, we left after the bottom of the eight to beat the traffic on the Whitestone Bridge. Aaron did pinch hit in the top of the ninth and we heard Lindsay Nelson’s call in the car on WHN radio. But what happened in the fourth inning was the highlight of the game. Braves outfielder Ralph Garr hit a “tweener” to the gap in left-center. Mets leftfielder Geroge Theodore (The Strork) and centerfielder Don Hahn (Hondo) ran into each other and had to be both carried off the field on stretchers. The ball made it to the warning track and Rusty Staub had to run all the way to left field to retrieve the ball. By then Garr made it all the way home and it was scored an inside-the-park home run. Now I would like to add to that list what I saw just after midnight last night on Fox Televsion at new Busch Stadium in St. Louis. The Cardinals scored first but big Pappy (David Ortiz), playing first base since you cannot use a DH in a National League park, and the hair-suited sluggers of Beantown were persistent and consistent and both teams went into the ninth knotted. With runners on second and third with one out, the Sox were forced to bring their infield in and play no-doubles in the outfield. John Jay hit a bullet to 2B and Dustin Pedrioa got the first out at the plate. The Red Sox catcher Jerrod Saltalamachia decided to get Allen Craig, who was recovering from injury and not running fast, at 3B and made an errant throw recovered in leftfield. But Middlebrooks, a late substitution at 3B, interfered with Craig’s ability to dart for home cleanly and Jim Joyce made an obstruction call allowing the winning run to score even though Salty technically tagged him out. I have seen umpires call obstruction before, but I have never seen a World Series game end this way. Even next year with review-challenges, this is one play that would not become reviewable because obstruction is a judgment call. Although my team is not in the series, this is one of the best postseasons I have seen in years. These words were uttered by The Great Abraham Lincoln at Gettysburg, eleven score and seventeen years ago. The House Mr. Lincoln was referring to was of course, the nation itself, divided by slavery and north-south politics. Today, that same catch phrase applies to The Grand Old Party, better known as the Republican party, an integral part of my identity and the nation’s largest advocate for the conservative way, which I consider to also be the American Way. The modern day (post-Reagan) Republican is a two-faceted party, a phenomenon that hampered the rival Democrats in this country since the anti-segregation movement of 1968 where liberal Democrats up north led by the Kennedy clan and the old-time Dixie-crat faction made famous by then Alabama Governor George Wallace who spoke on behalf of “segregation forever.” Long before the industrial revolution of the late nineteenth and early twentieth century which began the parties to divide among income classes, the Republican party was generally the part of the north and the Democrat party was the party of the south. Many of you liberal and Democrat readers find it hard to believe the Democrat party is rooted in slavery, segregation, and old-time southern values and the Republican party, the party of Lincoln, took the first aggressive stand in abolishing slavery throughout the land. 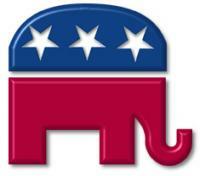 Circa 1991, the Dixie-crat faction began to disband and power in the south shifted to the Republican party. With slavery, segregation, and bigotry virtually just a distant memory in Dixie, this was intended to build a strong alliance for the advancement of the conservative movement in this country. The death of the Dixie-crats came to fruition during the mid-term election of 1994 when the Republicans took both houses of Congress during the Clinton Democrat administration and Newt Gingrich became the first Republican speaker of the house in forty years. This should have been the ultimate power play for Republicans and conservatives, but ultimately, they took the wrong path. Since the two-party system is integral in maintaining balance of power, limited government, and the passive nature of how our Founding Fathers intended the three branches of government to operate, division within one of the two parties is a disaster. In Washington today, you have a virtual three-system; the Democrats, the Grass Roots Republicans, and the Tea Party Republicans. Senate Minority Mitch McConnell (R-KY) is now public enemy number one among the Tea Party. A movement led by rookie Senator Ted Cruz (R-Tex) who believe he was wrong to orchestrate a compromise to re-open the government and raise the debt ceiling or now, want to work to have him removed from the Senate albeit he did nothing wrong. Truth be told, although raising the debt ceiling will ultimately lead to America’s demise, constitutionally it is the nation’s penultimate Hobson’s Choice. If we are unable to achieve a balanced budget, we must just keep kicking the can down the road, raise the limit, and print more money until the end of time. And the government shut down costs us a lot more money than it saved—why does Senator Cruz want to repeat an action that was an abysmal failure the first time? Remember that continuum I discussed in a previous communication. From left to right you have Radical, then Liberal, then the center, then Conservative, then Reactionary. The grass roots Republicans represent the conservative faction and the Tea Party, though not ready to admit it, are headed for that reactionary fringe. If they oppose Mitch McConnell, they can only go so much further right without falling off the edge. I still believe the only practical route to a balanced budget is the conservative agenda. Responsible spending cuts, limited government, flat taxes, supplementing the Federal Reserve with a partial gold standard, and a commitment to educating a generation to live, function, and prosper without the entitlements that are bankrupting this nation. We must balance the budget witout any Europe-a-zation of America. If the American Dream is to survive, we must maintain a representative form of government in a capitalist society. I agree with [you] on corporate greed, but that is the price we all have to pay to have a free country on Earth. You have to die and go to Heaven before you can live in perfect world. We need to ensure that the government of the people, by the people, and for the people, shall not parish from the Earth. A few weeks age, an uncle I never met who was living in California came up in conversation. My family back east and I had been out of communication with him and his family for some time and I was curious if he was still alive. I GOOGLED his name and an obit appeared that he had passed away last July. I informed my mother, sister, and an uncle who lives one town away who happens to be his younger brother. We got the name and number of my uncle’s brother-in-law and gave him a call to get some information. Next thing you know my Aunt and cousin (their daughter), two people I also never met, began communicating with this family by phone and by email. They have been very curious about seeing pictures and my cousin is very interested in bios on family members back east, both living and deceased. God rest my uncle’s soul, but it amazes me to no end how one GOOGLE search has brought that part of the family back into our lives albeit technology from a distance, for now. Let’s postpone National Procrastination Week until next week, HA HA HA 🙂 :)!! We have five (5) days to go before Thursday, October 17, when the deadline for the debt ceiling will hit and the possibility for default becomes reality. In spite of the war between the parties, one thing they all agree on is that default would be catastrophic, to say the least. But so far all the so called deals that blew through one side or the other only discuss postponing the decision on the debt ceiling. This would be the worst thing we could do. Remember my clock analogy. The idea of taking a broken clock, moving the big hand to the twelve and the little hand to the five, and then hanging a sign under the clock face reading IT’S 5:00 SOMEWHERE? The clock is still broken and the solution is dubbed perfunctory. A bullet point in several of my blogs was that is is perfunctory politics, not partisan politics that lead to the demise of this great nation. In essence, I postponed fixing the clock and sold the public the bill of goods that it is 5:00 somewhere. Can we really postpone paying our bills for six months and expect the creditor and possibly a collection agency to leave us alone? That is exactly what the Federal Government is trying to do. I am not prepared to defend John Boehner as Speaker of the House of Representatives and grade him on the quality of his work. Many pundits claim he may not survive as speaker. But one thing we must understand is the inaccuracy of the statement that he shut down the government to defund Obamacare. Though harsher, it would be more accurate to say he is attempting to derail Obamacare, i.e., The Affordable Health Care Act. Truth be told, the Federal Government was $16 Trillion (going on 17) in debt before Obamacare was in the embryonic state; moreover before Obmaa took office. The biggest flaw in Obamacare is not it’s impact on liberal or conservative politics, but the fact that it is funded solely on IOUs. Nobody can defund soemthing that has never been funded in the first place. My biggest criticism about President Obama his Affordable Health Care Act is that he is not only not making spending cuts, he is adding to the problem. Throwing gasoline on a huge conflagration. Opening the spigot wider and increasing the force of the water entering the tub while trying to drain it. Speeding up that bullet train taking us to the point of financial no return. Whether you want to say yes or no to the concept of managed health care or even debate whether or not it can coexist in the free country bequeathed unto us by God and codified by our Founding Fathers and also with the free-enterprise economic system we feel is the only system compatible with true freedom is a matter of opinion and personal politics. But anyone who feels compelled to say yes should at least understand they must say not yet. Let’s balance the budget and then reopen the debate. I don’t give a guarantee, but I think more Republicans and Democrats will reach across aisles and develop compromises once we can fund with real money whatever we [the people] decide. Let’s make key decisions on spending cuts. No spending cuts will please all of the people all the time, but we have to do something. Let’s look at the least obtrusive, let’s privatize what can be privatized, let’s come up with a minimum government equation and implement it, and let’s balance the budget once and for all. If we don’t everything the liberals don’t want cut will be gone anyway and possibly even the most essential of services, such as military defense. Let’s not make the taxpayer pay for it and let’s not restrict corporate America from creating jobs. Let’s fortify our currency with gold certificates to complement the Federal Reserve, and let’s look into proper redistricting in the House of Representatives and in the event that 435 is no longer necessary, let’s concatenate districts and have save money with a smaller-streamlined House. The time is now, not later. Try to imagine a beauty contest with only two contestants, both as ugly as Medusa. That is the case with the two scenarios of either Mr. Boehner standing his ground and refusing to reopen the government and refusing to negotiate a clean debt ceiling or eating the crow and opening the government with a higher debt ceiling. Right now you cannot win either way. All non-essential offices of the Federal Government are closed and have been closed since 10-1-2013. Essential services are still functional as Social Security checks are still being cut and Medicare and Medcicaid are still open for business. Though nobody is prepared to stand on a soap box and speak formidably about this as an accomplishment, the real Thomas Payne trial of men’s [and women’s] souls comes on Thursday, 10-17-2013. On this date, a day which may very well live in infamy, the Federal Government must reach a deal on the debt ceiling or even the most essential of services will shut down (even if the government is reopened before this day), and America may be forced to default on its loans worldwide. This could result in America as a nation filing for bankruptcy, which will in turn have a domino affect on the world economy. On the one hand, as appealing as affordable heath care is to anyone who does not have medical insurance, America clearly cannot afford to take on another program requiring funding and the implementation known formally as The Affordable Health Care Act branded for better or for worse as Obamacare is not an appropriate implementation with a budget surplus. Nonetheless, the cost of treating the uninsured is a problem too. Although I do not think Mr. Boehner’s plan to hold the government hostage to defund the program is appropriate or even in good taste, the alternative is no better. We cannot every year or every half-year or so solve the problem by raising the debt ceiling until the end of time. If we did that with our family budgets, we would have lost our homes thirty years ago. As the calculating lemma supporting the Schoenhaus Theorem clearly states, once we reach the point where a government as minimal as it was in 1789 cannot withstand financially, power up the microphone on the fat lady’s podium, stick a fork in America—we’re done! We are not there yet, but the fastest way to get there is to just keep raising the ceiling for debt tolerance. It may be too late for a simple plan for the Ronald Reagan Republican ultimatum for responsible spending as even responsible spending requires there be money to spend, we can still limit government to military defense and caring for those who absolutely, positively, cannot care for themselves. As I have said many blogs and many moons ago, we must get the private sector to take over everything they possibly can. Furthermore, do we really need 435 congressmen? With the end of the baby-boom, we could save a ton of money just by reducing the size of the House of Representatives by concatenating congressional districts and paying fewer congressmen’s salaries. That was great advice in the 1980s but it may be too late. I’m sure The Great Ronald Reagan is looking down on us from Heaven shaking his head in chagrin on the failure of common sense tactics to achieve manageable debt through responsible spending and a full understanding of what our Founding Fathers intended. Ronald Reagan may have been willing to compromise on affordable health care in his time, but now the priority is for the government to live, not inside its means, but below its means. The issue can be resurrected with a balanced budget and the necessity to maintain a balanced budget should lead us right back to the grass roots of it—the private sector.